The Nigerian Civil War, also known as the Biafran War was a war fought to counter the secession of Biafra from Nigeria. The war which began on 6 July 1967 ended on 15 January 1970. 49 years after the clamour for the state of Biafra has resurfaced as some Nigerians of Igbo extraction demand freedom from Nigeria. It is in this regard, Obindigbo.com.ng takes a look at the war by putting together these 10 things everyone must know about the civil war that lasted 30months. Biafra represented nationalist aspirations of the Igbo people, whose leadership felt they could no longer coexist with the Northern-dominated federal government and the war happened as a result the culmination of an uneasy peace and stability that had plagued Nigeria from independence in 1960. This situation had its genesis in the geography, history, culture and demography of Nigeria. Immediate causes of the war in 1966 include a military coup carried out by Maj. Kaduna Nzeogwu which led to the death of prominent Northern leaders like Tafawa Belewa, a counter-coup led by Yakubu Gowon, which led to the brutal murder of Aguiyi Ironsi, Nigeria’s first head of state, his deputy Fajuyi, etc and the persecution of Igbo living in Northern Nigeria. 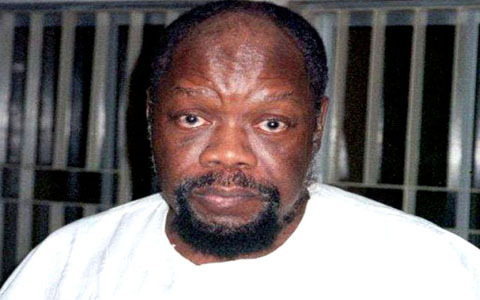 The former Eastern Region under Lt. Col. Ojukwu saw the act of the creation of states by decree “without consultation” as the last straw, and declared the Region an independent state of “Biafra” but the Federal Government in Lagos saw this as an act of secession and illegal. Several meetings were held to resolve the issue peacefully without success, therefore the Nigerian government had no choice but to use force in getting back the territory. The Federal Government expected a quick victory but by the end of April 1969, after almost two years of bloody and destructive war, the envisioned quick victory had eluded the Federal Government , the rebel enclave had been drastically reduced in size but the Biafrans were still holding on. On the 10th of January 1970, the self – acclaimed Head of State of Biafra, Lt. Col. Ojukwu, realizing the hopelessness of the situation fled the enclave with his immediate family members handing over to Army Maj. Gen. Phillip Effiong. The Commander of the Biafran Army, who took over the administration of the remaining enclave surrendered to the Federal Government on 14th January 1970 bringing an end to the war, secessionist attempt and bloodshed. Over the two and half years of the war, about two million civilians died from starvation and diseases. Only five countries (Tanzania, Gabon, Côte d’Ivoire, Zambia and Haiti) officially recognised the new republic but did not provide arms and ammunition, whereas Britain supplied amounts of heavy weapons and ammunition to the Nigerian Government . The war cost the Igbos a great deal in terms of lives, money and infrastructure. It has been estimated that up to three million people may have died due to the conflict, most from hunger and disease caused by Nigerian forces.